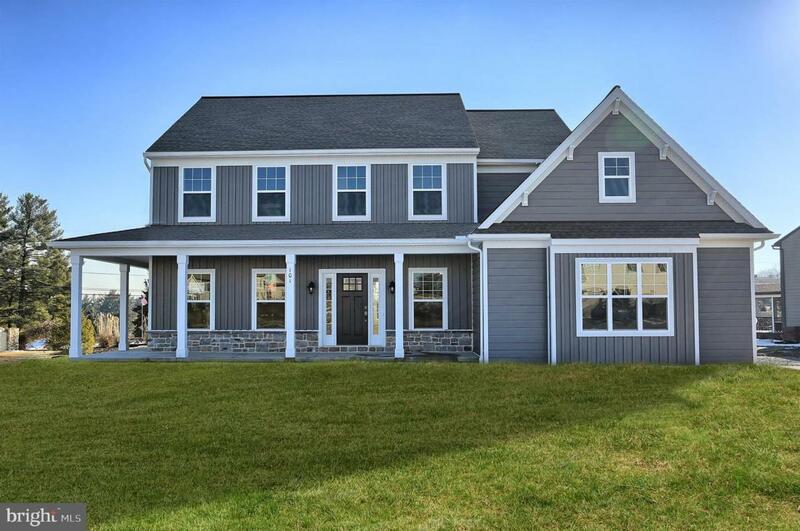 This 2-story home boasts an attractive exterior with a wrap-around porch complete with decorative posts. The 2-car garage opens to a mudroom entry with built-in lockers and extra storage space. 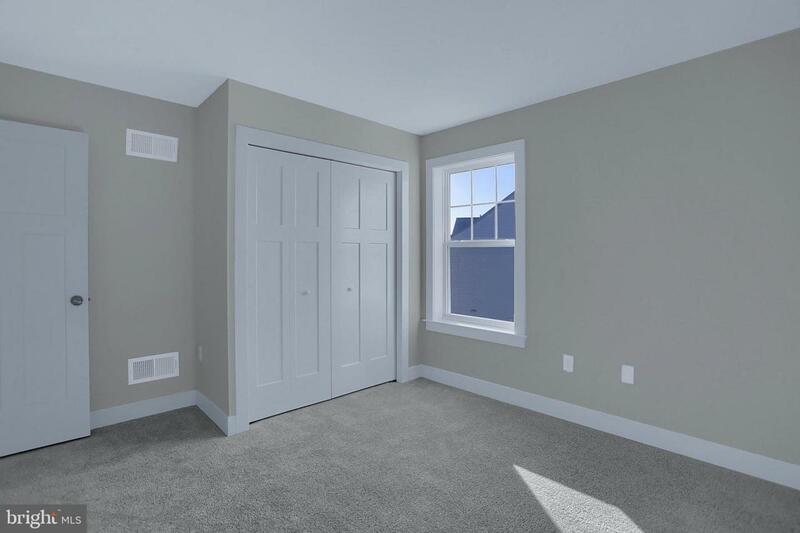 The open floor plan includes 9ft ceilings on the first floor and a convenient flex space room to the front of the home. The dining room features craftsman style wainscoting and chair rail. 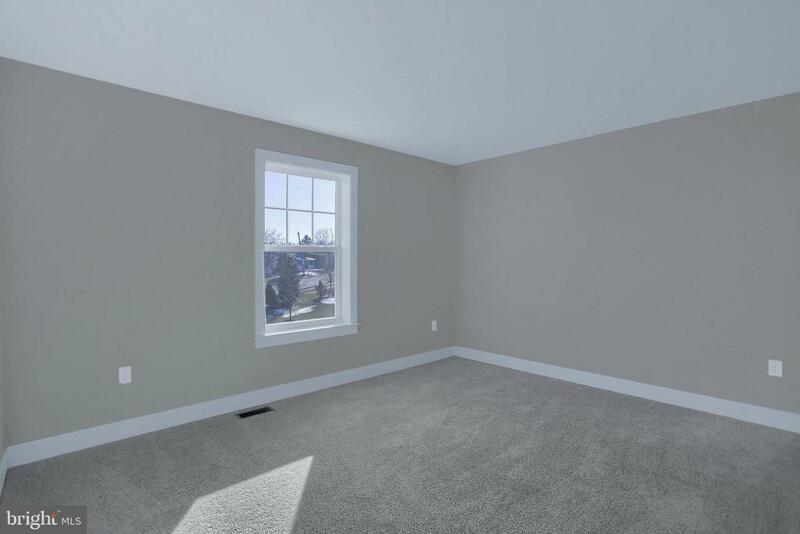 Hardwood flooring is located in the foyer, kitchen, breakfast area, and dining room. The kitchen is well-appointed with cabinetry featuring decorative crown molding, quartz countertops with tile backsplash, a pantry, and stainless steel appliances. The kitchen opens to the breakfast area and living room with gas fireplace featuring stone surround and stylish shiplap detail above the mantle. The 2nd floor includes 4 bedrooms, 2 full bathrooms, and a laundry room. 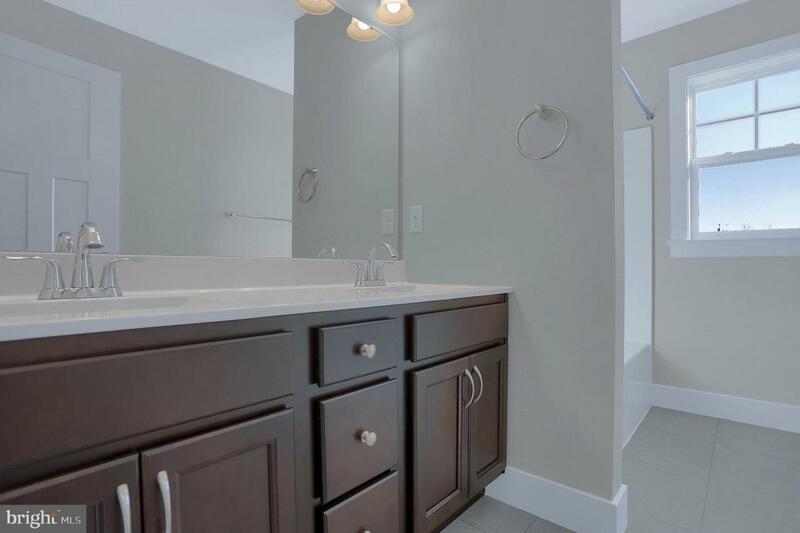 The spacious owner's suite features an expansive closet and a private bathroom with tile shower and double bowl vanity.